Psilocybin is a hallucinogen that occurs naturally in certain species of mushrooms. Hallucinogens alter a person's perceptions such as seeing, hearing or feeling things that are not really there. It may be sold on the street as dried whole mushrooms or as a brown powdered material. The active component is sometimes made in illegal labs and sold on the street as a white powder or tablets, or capsules. The mushrooms are often eaten raw or cooked. They may be steeped in hot water to make a mushroom "tea" or mixed with fruit juice to make "fungus delight." Less often they may be sniffed, snorted, or injected. How does Psilocybin Affect the Body? Can Psilocybin Harm a Developing Fetus? After taking mushrooms, the psilocybin is absorbed into the bloodstream. The speed with which it reaches the brain varies depending on how they are taken. The effects of psilocybin are generally felt within a few minutes of drinking the tea or 30 minutes after eating mushrooms. They last for about three to six hours. Some people may experience hallucinations for up to four days. Will Psilocybin Always Produce the Same Effects? Psilocybin can cause a person to feel anxious and experience panic attacks. Users may experience hallucinations and a loss of touch with reality. Psilocybin can also produce distorted visual perceptions. Some people may think that they can "see" music or "hear" colours. 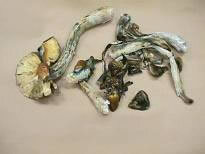 After the effects of the mushrooms wear off a user may feel very tired, depressed and lethargic for a few days. Overdose with magic mushrooms alone has not been directly associated with death. The effects of long-term psilocybin use have not been studied. 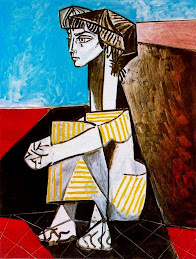 Some people have had prolonged psychosis that resembles paranoid schizophrenia. Psychosis is a loss of touch with reality. It is a mental disorder that affects the personality. The effects of psilocybin on the developing fetus are unknown. There is no evidence that addiction, physical or psychological dependence develops with continued use of psilocybin. However, people can become tolerant to the effects of psilocybin with regular use. Complete tolerance, where no amount of psilocybin can produce the desired effects, can develop within several days. The user must stop using for days to regain sensitivity.